Recent changes brought about by the Post Office has resulted in our local post office being closed and the Postmistress retiring on 30th Sept 2008. This brought to an end an era, Kennethmont was at one time the centre of mail, parcel and telegram distribution in the area and has always had a full time post office. 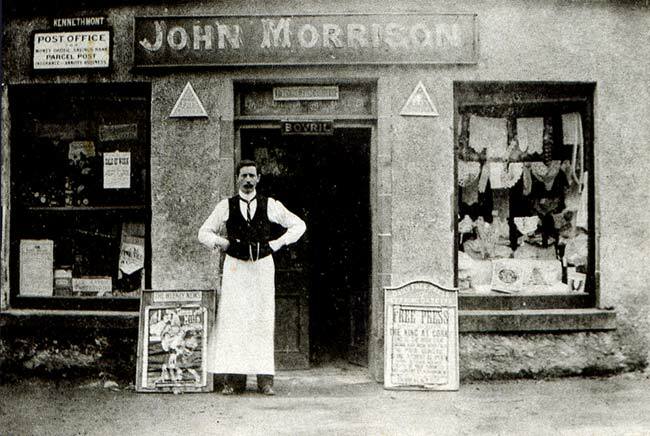 John Morrison was Postmaster at Kirkhill more than 100 years ago. 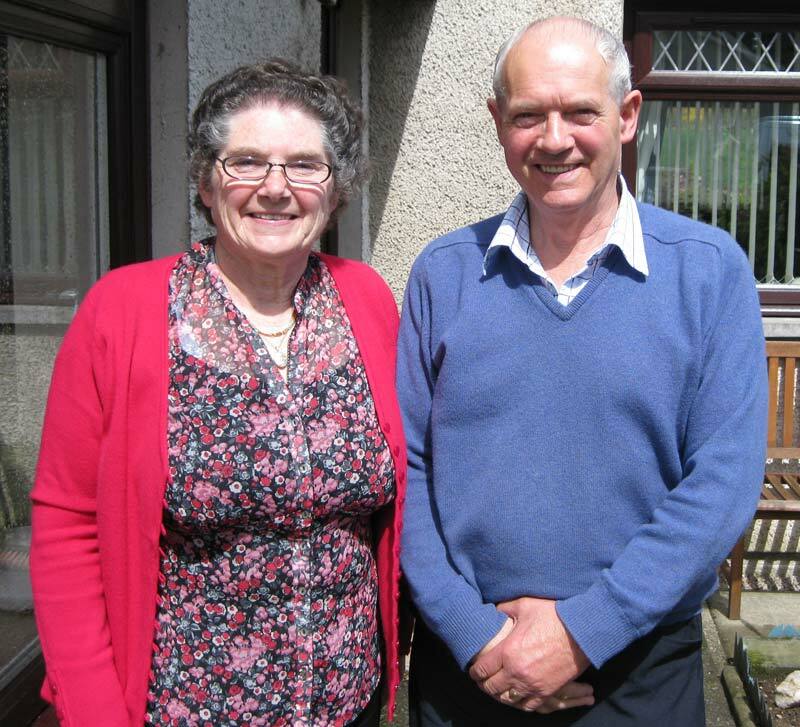 Irene Meldrum has run our Post Office from her home for the past 27 years. An extension was added to her house to accomodate it shortly after she took charge in 1981. It has recently been converted back into a fine additional sitting room with a sunny aspect. A private presentation was made to Irene recently for all her hard work and dedication over the years. Unknown to her, a collection was made in the local area and she was presented with a Border Fine Arts ornament, a gold bracelet and a framed copy of a poem specially written to mark the occasion. 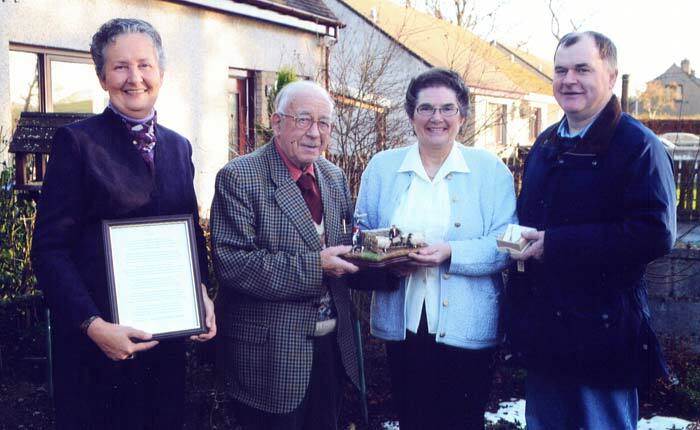 Irene being presented with the ornament by Mr J F Grant ( her oldest customer and a native of Kennethmont ) while Agnes Dawson and David Grant look on. and I’ll tell a little story about a girl called Irene Dunn. Working hard and sticking in, definitely no-one’s fool! Till Jimmy Meldrum caught her eye and they married one fine day. But she learned the ropes so quickly she wasn’t very long a novice. She took on Kennethmont Post Office and thought, I’ll manage that no worries! And also worked hard as a mum with daughter Glenys by her side. Her hard work and dedication to everyone is clear. Even sometimes serving customers with curlers in her hair!! To spend more time with her family or just her feet up by the fire. Jimmy’s not getting the bell for his shed to make her run to him on cue!! 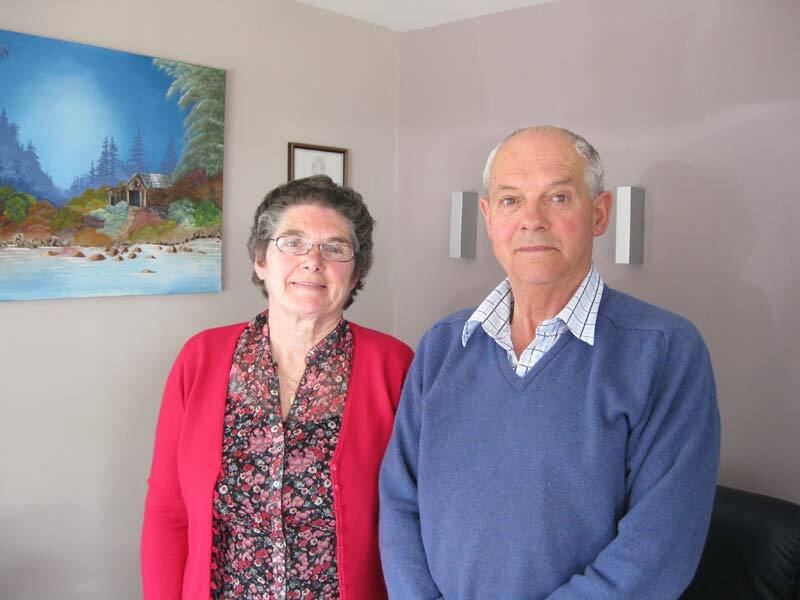 We’d like to reassure Irene that retirement’s not the end. Or more time to make a fly cup for Jimmy outside in his shed!! All the best for a long, happy and healthy retirement!